Pleasanton, CA, Nov. 08, 2017--Maddie's Fund®, a national family foundation established by Dave and Cheryl Duffield to revolutionize the status and well-being of companion animals, has presented the 2017 Avanzino Leadership Award Dr. Julie Levy for her outstanding leadership and significant achievements in lifesaving. The award is named after Rich Avanzino, the father of the no-kill movement and Maddie's Fund President from 1999-2015, and recognizes outstanding leadership in the animal welfare community. Presented along with a $25,000 grant to a nonprofit or government organization designated by recipient, the honor is bestowed for demonstrating significant achievement in lifesaving, showing the courage to look beyond the status quo and making bold decisions to improve the lives of dogs and cats, and being a champion of the no-kill movement. "Dr. Julie Levy embodies these qualities in the work she has accomplished - and continues to accomplish - towards lifesaving solutions over her entire career," said Dr. Laurie Peek of the Maddie's Fund Executive Leadership Team. "We received an overwhelming number of submissions and it was an honor to read about so many deserving contributors within our field.It was a tough decision, however, Dr. Levy was the standout choice for 2017." Furthermore, Dr. Levy has greatly influenced lifesaving through her published research. In a body of work spanning more than two decades and more than 100 journal articles and textbook chapters, she has studied everything from the characteristics of community cat populations to spay/neuter surgery and more, including infectious diseases in dogs rescued after Hurricane Katrina, heartworm in shelter dogs and cats, vaccination and immunity, diagnostic testing for animal shelters, and nonsurgical sterilization and contraception. In addition to being this year's Avanzino Leadership Award recipient, Dr. Levy is a recipient of the Association of Shelter Veterinarians' Meritorious Service Award, the Carl J. Norden-Pfizer Distinguished Teacher Award, Outstanding Woman Veterinarian of the Year and the European Society of Feline Medicine Award for Outstanding Contributions in the Field of Feline Medicine. She is also the co-author of The Association of Shelter Veterinarians' 2016 Veterinary Medical Care Guidelines for Spay-Neuter Programs. The Avanzino Leadership Award is awarded to one person each year through peer nominations. The nominations will be accepted in July 2018, with an announcement of winner slated for September 2018. 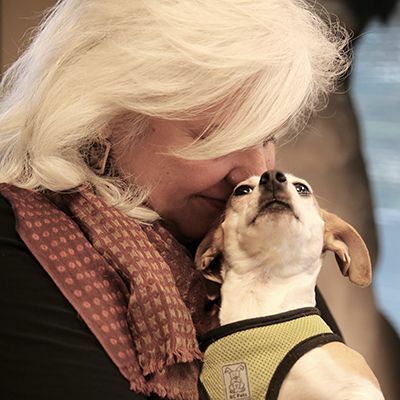 Animal welfare practitioners are invited to nominate their choice for who best embodies the qualities of the Avanzino Leadership Award, and are encouraged to join the Maddie Network for nomination updates. Pleasanton, CA, Nov. 08, 2017 - Maddie's Fund®, a national family foundation established by Dave and Cheryl Duffield to revolutionize the status and well-being of companion animals, has presented the 2017 Avanzino Leadership Award toDr. Julie Levy for her outstanding leadership and significant achievements in lifesaving. "Dr. Julie Levy embodies these qualities in the work she has accomplished - and continues to accomplish - towards lifesaving solutions over her entire career," said Dr. Laurie Peek of the Maddie's Fund Executive Leadership Team. "We received an overwhelming number of submissions and it was an honor to read about so many deserving contributors within our field. It was a tough decision, however, Dr. Levy was the standout choice for 2017."